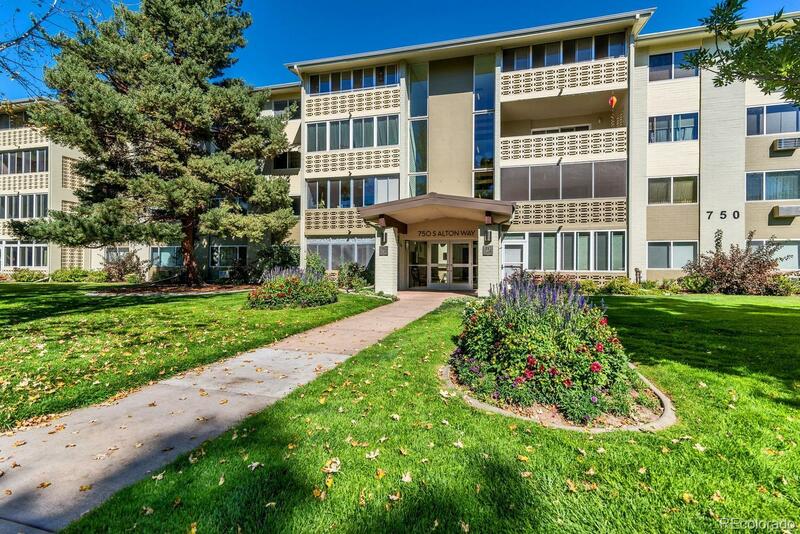 Denver's remarkable 55+ active adult community. Fabulous south-facing corner unit with 1 in-wall A/C, ceiling fans, enclosed Lanai. Ready for quick move-in. Same floor as laundry. Additional storage locker on 3rd floor. Garage stall conveniently located in 2nd row across from stairwell. HOA dues include property taxes, community / rec center, indoor & outdoor pools, impeccable landscaping, hot water heat, water, so much more. 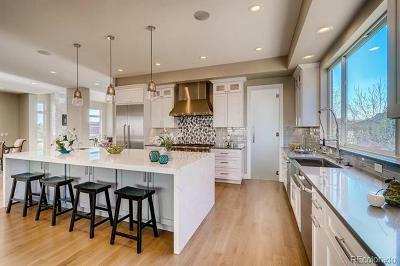 Community includes trails, restaurant, par 3 golf course, and RTD bus service. Quick & easy to Lowry, Cherry Creek, Downtown. HOA requires Buyer to attend orientation and deposit for Lanai sliding door replacement. FHA & VA approved.